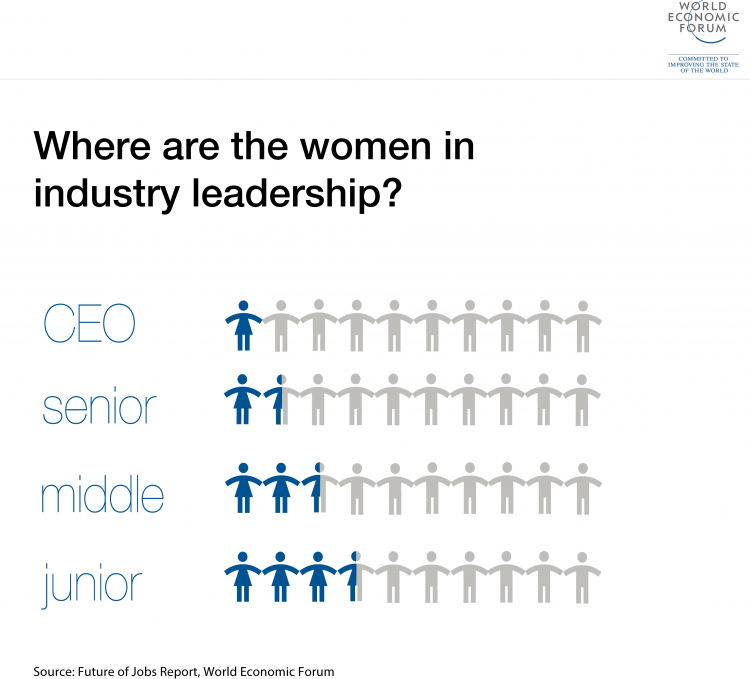 Scooper - Technology News: Where are the women in corporate leadership? Where are the women in corporate leadership? Over the course of my career, I have witnessed extraordinary advances both in the workplace and in technology. Just think, in one generation, technological innovations have created whole new industries, products, services and occupations – all in the blink of an eye. Among its breakthroughs, technology has also contributed to the rise of more flexible and inclusive work cultures, enabling many people to be more in control of their time and careers. New and exciting opportunities such as social media management and cloud services have been created that were not even thought of when I began my own career. We live in an era in which many people think technology can solve many immediate problems in the economy and even society at large. Yet we remain unable to resolve one of the long-lasting and fundamental challenges that continues to undermine our prosperity. Recent EY research, conducted in partnership with the Peterson Institute for International Economics, highlights that companies in only five countries around the world have at least 30% of women in corporate leadership. As a woman, I am of a very small minority that holds an executive position globally in business or government today. Looking at this research, I wish I could say that it comes as a surprise – but it doesn’t. Instead, as we prepare to celebrate the achievements of women, I am reminded that we are confronted with similar data every year on International Women’s Day. And yet, business has every interest to change this – even if it is just for their bottom line. The evidence is clear from the EY-Peterson research that when companies have over 30% of women in leadership, they can expect a 6% increase in net profit. Countless other studies have shown similar results. It is no different in government. The EY Worldwide Women Public Sector Leaders Index has highlighted this situation annually since 2013. The latest findings highlight that although women account for around 48% of the overall public sector workforce, they still represent less than 20% of senior public sector leaders across the G20. At a time when business is undergoing significant changes as a result of technological disruption and government needs to steer us through the impacts of the Fourth Industrial Revolution, women remain underrepresented in senior roles in many important sectors, including STEM fields. And as the pace of technological change is moving ever faster and there is a growing need for people with technology skills, we are at risk of leaving women even further behind . So, what can we do about it? For any issue that defies resolution, we must avoid complacency. This starts with asking ourselves the right questions and then moving to action. First of all there is a need to challenge the status quo. Too many people are still not seeing that diversity matters now more than ever. Others believe we have long reached gender parity and they just ignore the data. Let’s start by asking ourselves and our management teams a number of pertinent questions: Are we really doing all we can to support diversity or do we still have blind spots? Do our corporate policies support everyone’s professional ambitions or are there any barriers that prevent true implementation? And how can we make our workplace culture more inclusive and flexible – not just in theory but in practice? There’s more: Do we have succession planning that puts diversity at the centre? Do our career coaching programmes fit the needs of women or are they one-size-fits-all? And what more do we need to do to actively tackle conscious and unconscious bias? By asking these questions and seeking honest answers, you’re already part of the way towards taking action. Because when you look at gender inequality as a whole, it seems like a vast, insurmountable challenge. But when you break it down there are real, tangible actions we can take to make the workplace better for women, and in doing so, increase prosperity for all. For example, if you’re in leadership in business or government, what you say and do to help women progress will set the tone for the rest of the organization. The same applies if you are a mid-level manager. You can actively foster a supportive culture that creates psychological safety, values diversity, calls out conscious and unconscious bias and supports the advancement of women. And if you’re just starting out – your voice matters. Use it to advocate for more gender-balanced teams and leadership. Don’t just accept non-inclusive cultures. Seek decisive action from those in leadership. Importantly, we need to take the pivotal step and appoint more women to leadership roles. Just as technological advances have generated new forms of prosperity, it is proven that diverse workforces contribute significantly to performance. There are many women who are ready and able but their talents are not always recognized. Talent and capability come in many forms and do not always look, sound and feel the same. This is a good thing, so let’s encourage everyone to take action!